Cron jobs are automated events that are triggered by the server. 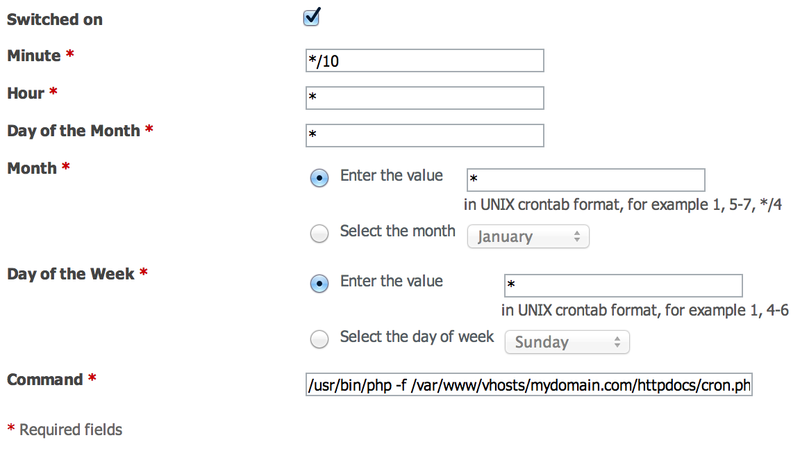 A lot of people think that the Magento cron runs automatically – but this is not the case. To set up your cron you need to tell your server to execute Magento’s cron.php file every so often – normally every 10 minutes or 20 minutes – you can change this depending on how long it takes your cron to run (normally only a couple of seconds but if you have extensions that do a lot of processing you may want to extend the time between runs – the last thing you want is for a cron to overlap!). I’m going to show you how to set this up within a Plesk control panel. First of all navigate to your domain and then click on Crontab (sometimes called ‘Scheduled Tasks’). 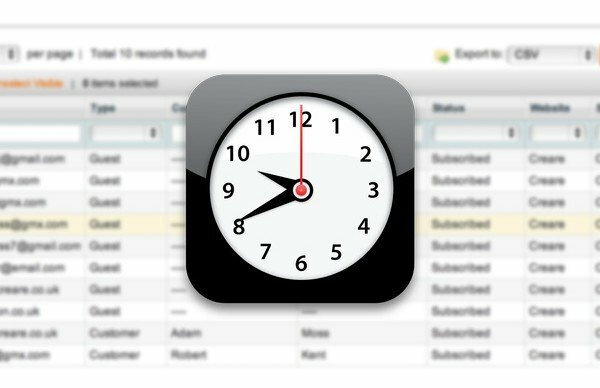 Within Crontab will be a list of users for the domain (normally your FTP users) – click on a user and then click on Schedule a Task for <user> (or sometimes just ‘Schedule New Task’). This next page can be quite complicated to understand but essentially it’s where we are going to set the time and dates for our cron to run – and also the command that will be ran. Please note that you must edit this command to match your own server setup – it’s the path from the root of the server to the cron.php residing in your Magento installation (don’t copy/paste!). That is pretty much all you need to do to get your cron up and running. I hope you enjoyed this quick tutorial!